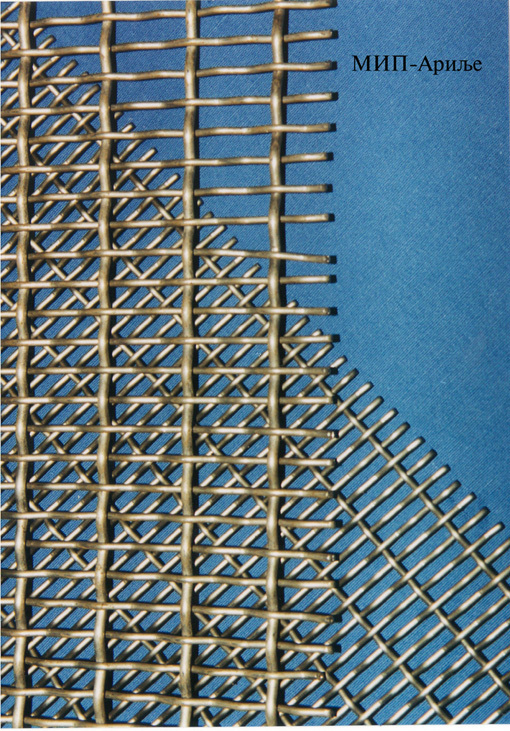 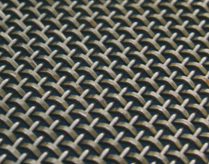 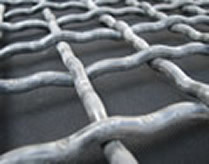 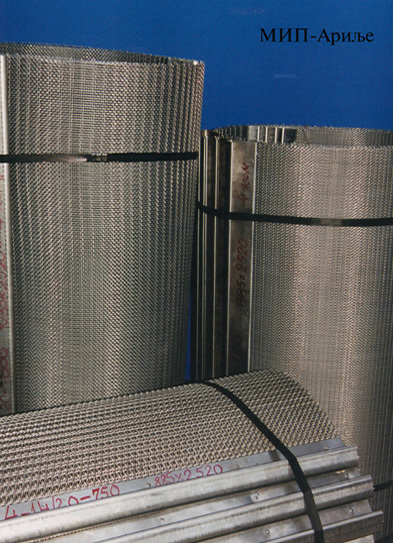 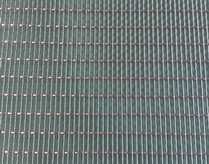 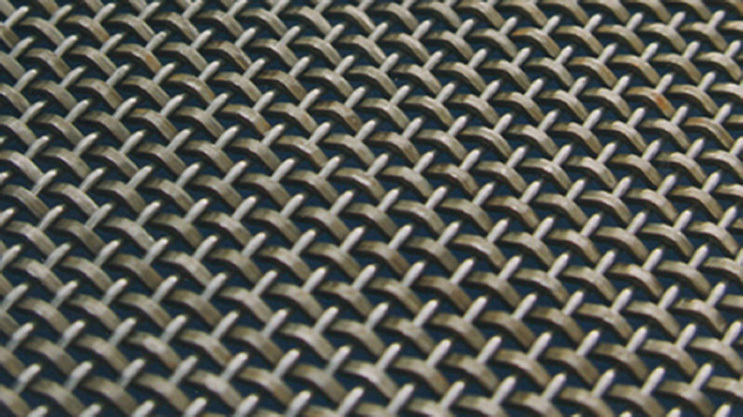 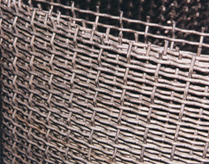 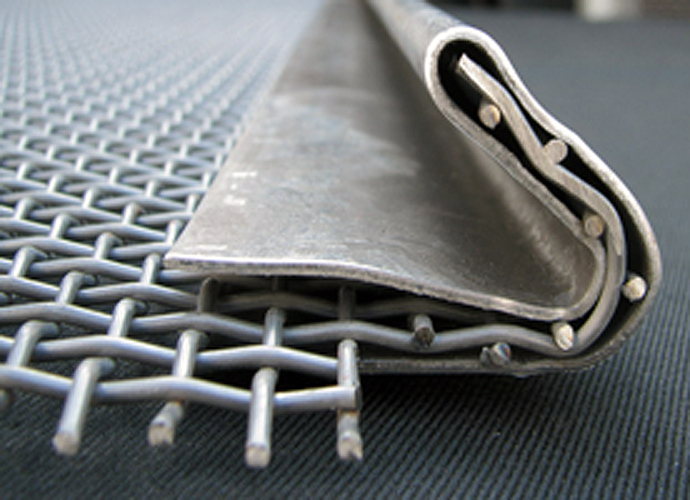 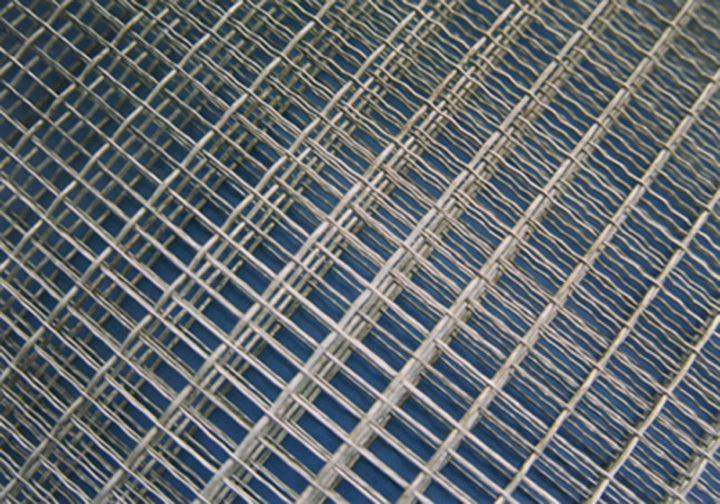 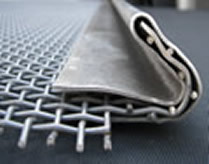 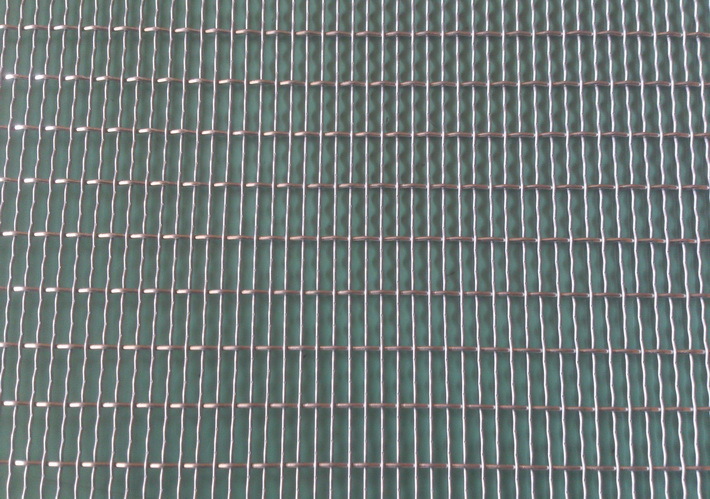 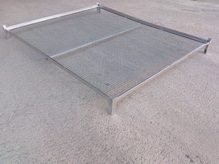 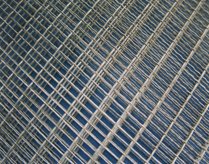 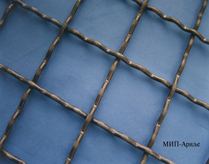 Wire screens and meshes with square aperture from 1,5 mm up to 200 mm and wire diameter from ø0,70-12,0 mm, made of spring steel wire according to DIN. 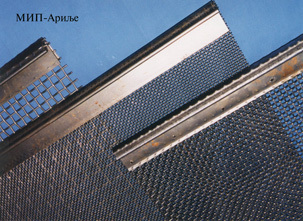 17223 and DIN. 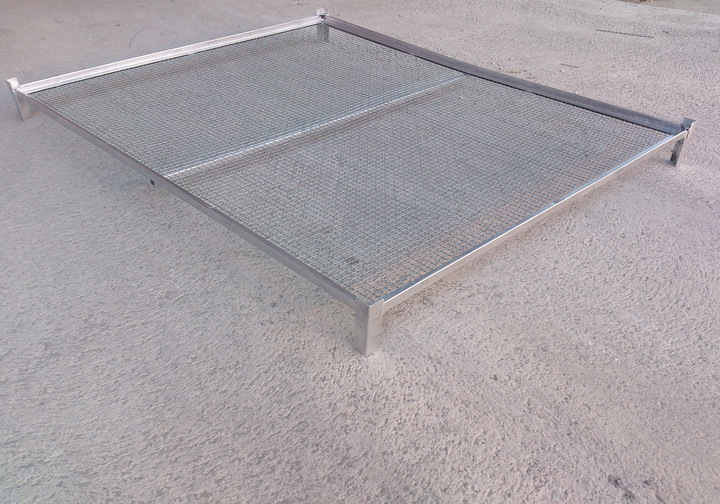 17224 class A and B (1200-2500 N/mm2), hooked and un-hooked, widths up to 2150 mm and lengths on customer request. 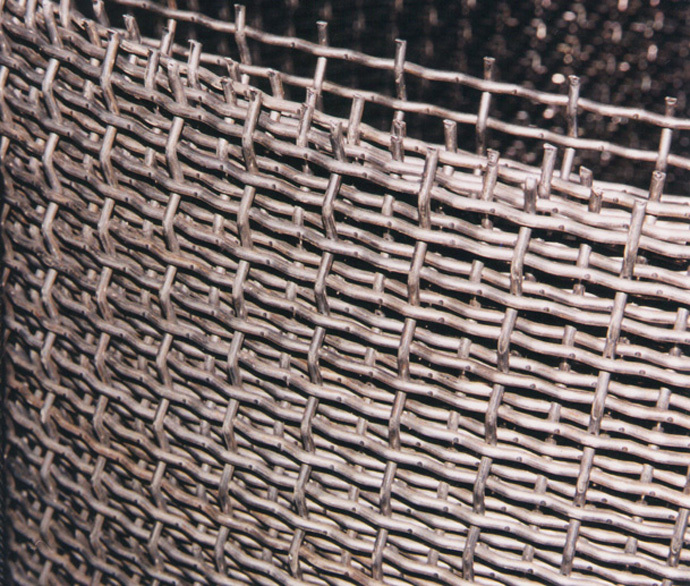 "Heavy" (Kroazet) screen with imbedded profiled wires of 1600 N/mm2 of bursting stress, and rockwell hardness up to 55 Rhc, designed for peeling-grating cereal peel. 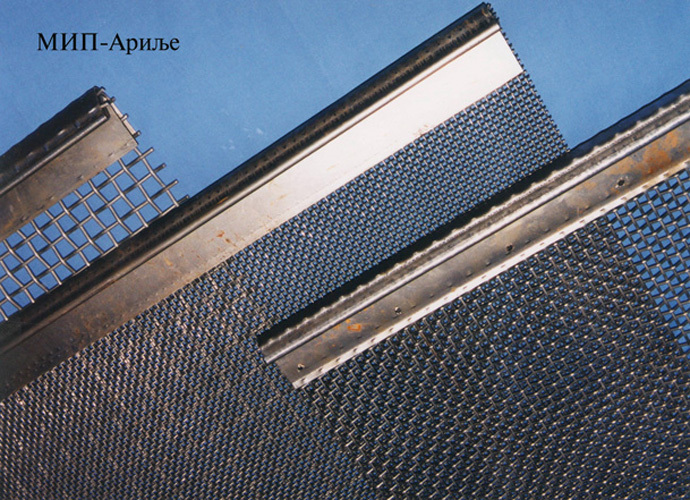 Made of crimped wire, square and rectangular apertures in class of wire from 600 N/mm2 up to 2500 N/mm2. 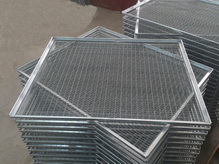 Rectangular sieves of all apertures by request in all classes of material. 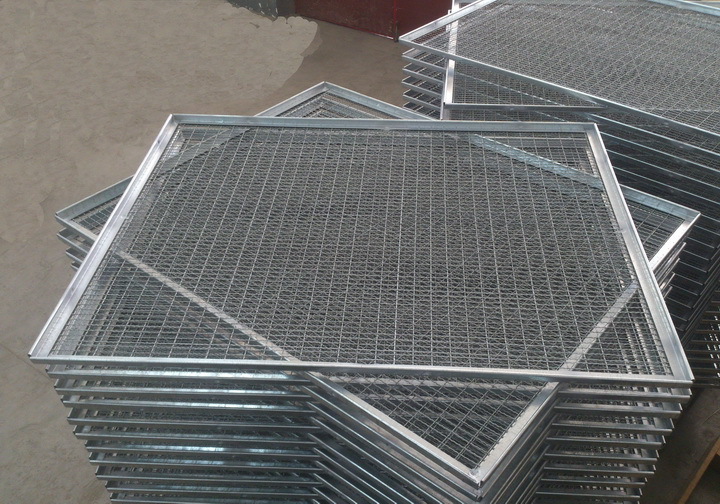 Appliance: mining and vibrating sieves, planning sieve and aspirators in flour milling industry, deep fryers, centrifuges, truck screens, safety nets and so on. 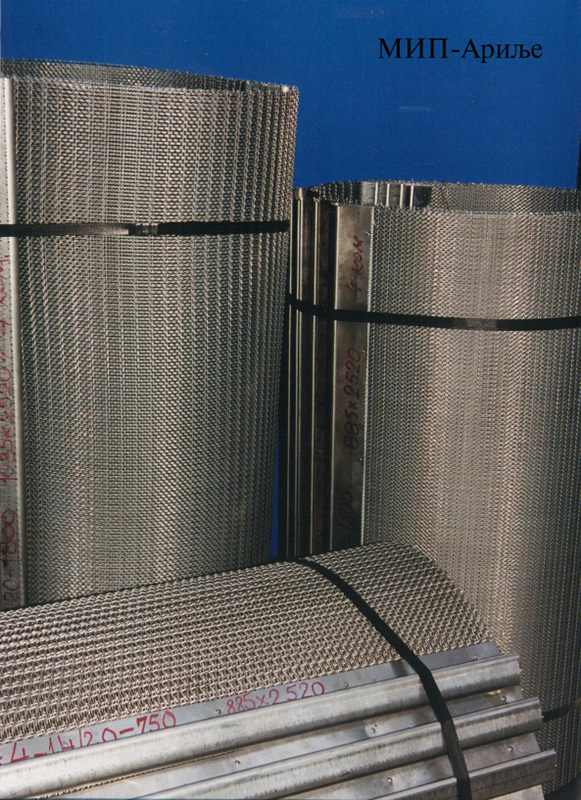 Meshes designed for kiln wattles rectangular or square apertures made of steel CrNi wire. 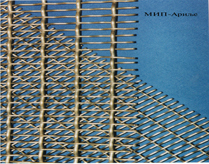 Services of wire processing and adaptation.